After all the hullaballoo and controversy surrounding The Interview, the film is finally making Sony money. And big money at that too! Sony Pictures made the movie available online as well as distributing it to a small number of cinema's that offered to show it and it has resulted in a nice windfall for the movie studio. The comedy, starring Seth Rogan and James Franco as journalists asked by the CIA to assassinate North Korea's Kin Jong Un after being granted an interview with him, was fiercely criticised by North Korea as mocking the country's dictator. A statement from the hermit kingdom has accused the US of "agitating terrorism" and accused Barack Obama of forcing "Sony Pictures Entertainment to indiscriminately distribute the movie and took the lead in appeasing and blackmailing cinema houses and theatres in the US mainland to distribute the movie." Released online on Christmas Day through mediums such as YouTube and Google Play as well as both Playstation and Xbox stores, people have been rushing to rent the comedy. Since then, The Interview has officially become Sony's highest grossing online movie ever taking in an unprecedented $15 billion in just 4 days. The movie also was screened in a select number of theatres in the United States and has gathered $3 billion in box office earnings. 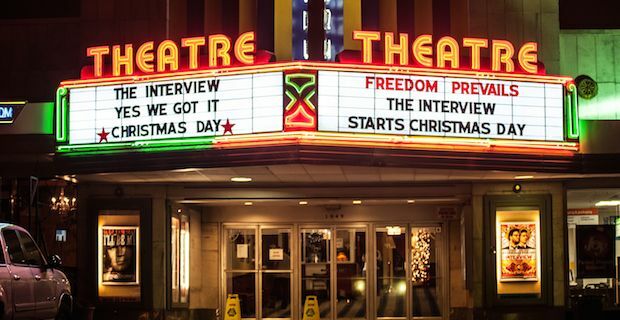 That $18 million dollars means that Sony are about to exceed their own projection of $20 million for the nationwide American theatre release that was pulled after threats to patrons who attended the film from hacking organisation Guardians of the Peace. The hackers have taken responsibility for leaking a large number of confidential emails from Sony servers in the lead up to The Interview's release. The group, ironically, threatened violence against movie goers unless the film was pulled from theatres entirely. Sony Pictures have also struck a deal with Apple's iTunes store which will see the film reaching a larger potential audience desperate to see it in the aftermath of so much free publicity.